Roger Federer returns the ball to Denis Kudla during their semi final match at the Gerry Weber Open ATP tennis tournament in Halle, Germany, Saturday, June 23, 2018 (Sunday in Manila). HALLE, Germany — Defending champion Roger Federer will play 21-year-old Borna Coric in the Gerry Weber Open final as he chases his 99th career singles title on Sunday (Monday in Manila). 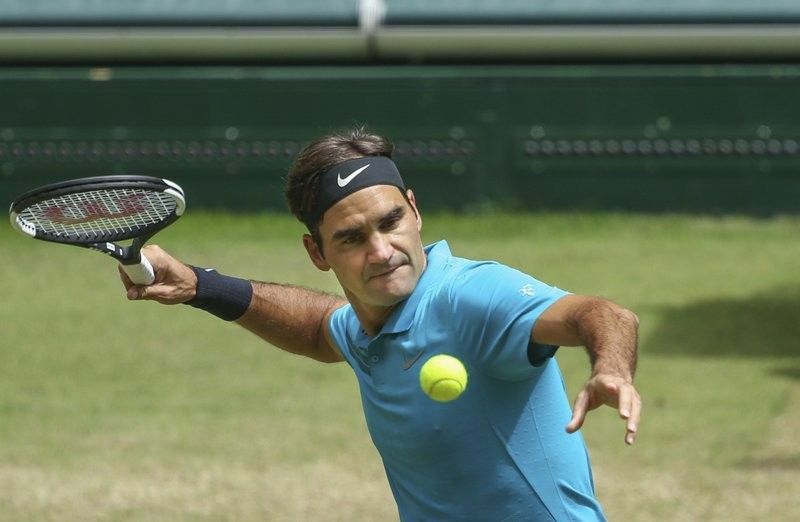 Federer reached his 12th final in Halle after beating qualifier Denis Kudla 7-6 (1), 7-5 on Saturday (Sunday). Coric advanced when fourth-seeded Roberto Bautista Agut retired injured after slipping in their semifinal. The Spaniard was leading 3-2 in the first set. Federer fired 12 aces and saved six of the seven break points he faced to end Kudla’s 10-set winning streak in Halle. The American had three break points when he was leading 4-3 in the second set, but Federer fought back and finished the set with two successive aces. “It’s good to know that I always play well when it’s needed,” Federer said. The 25-year-old Kudla had saved 20 of 21 break points on his way to the semifinals at the grass-court tournament. Federer, who saved two match points against Benoit Paire in the second round on Thursday, is going for a record-extending 10th title in Halle. It will be his second final in as many weeks. The Swiss great, who won his 18th grass-court title in Stuttgart on Sunday, is just two match wins away from matching Jimmy Connors’ all-time record of 174 victories on grass. After skipping the entire clay-court season for the second year in a row, Federer extended his grass-court winning streak to 20 matches, including Stuttgart and last year’s titles in Halle and Wimbledon. The revitalized 36-year-old only had a longer streak on the surface once before, when he won 65 consecutive matches on grass between 2003 and 2008.